Hold on tight! Another major mattress battle is about to take place. eLuxurySupply is one of the most genuine mattress companies in the industry and they’re looking to take on the Goliath of the online mattress world, Casper. Does eLuxury have what it takes to give Casper a run for its money? Continue reading below to discover if eLuxury is strong enough to compete with Casper. Short on time? Not a problem. Click here to slide down to the review summary. Enjoy 30% off your purchase with code SleepopolisReview. 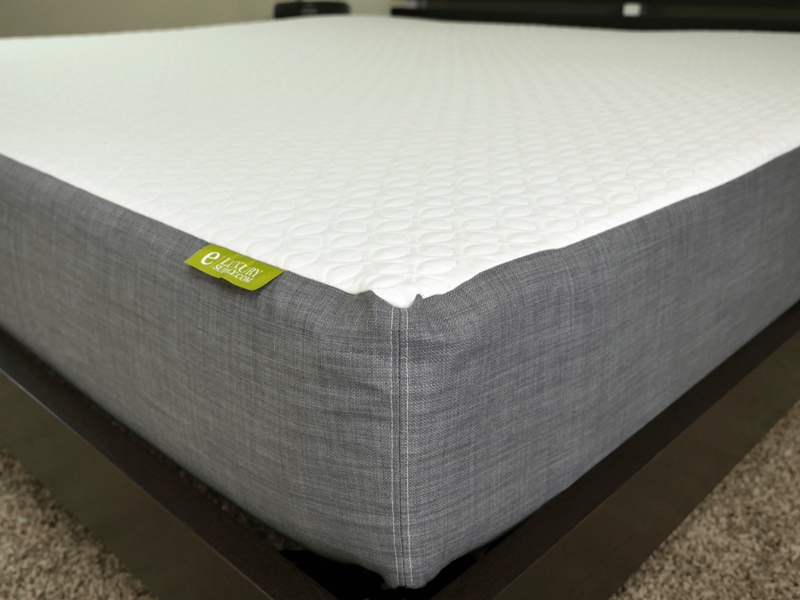 eLuxury is a 10″ mattress constructed from 2 separate layers of foam. 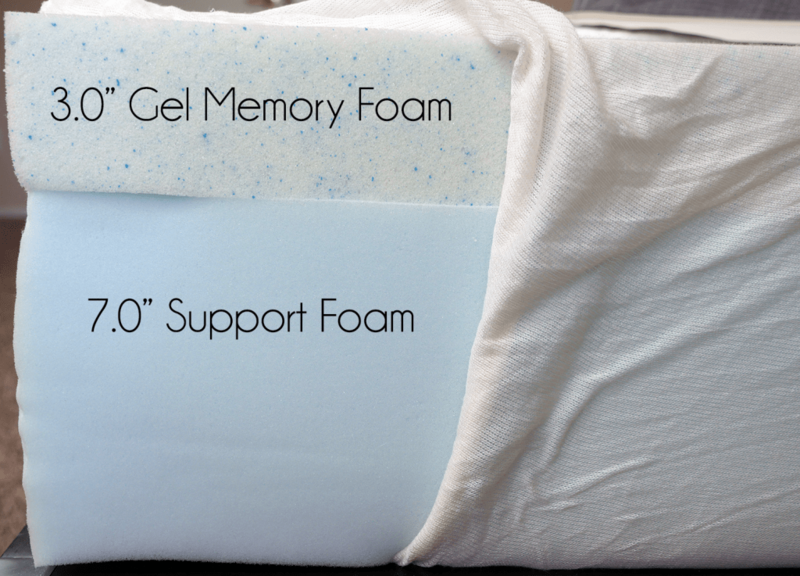 Top layer (comfort + cooling + support) – 3″ layer of gel memory foam. This layer is designed to provide the cooling, comfort, support, and pressure relief for the mattress. The top layer works to pull heat away from the surface, resulting in a cooler sleeping surface. Bottom layer (deep compression support + foundational) – 7″ layer of high density support foam. This layer provides the deep compression support as well as the foundational support for the mattress. The cover of the eLuxurySupply mattress is a simple, yet smooth, two-toned grey and white design. A combination of polyester (80%) and spandex (20%) makes up the white fabric on top. This top piece is thin, but has a soft feel and good flexibility. The mix of these characteristics allows for very good airflow and also allows the sleepers to be in more direct contact with the foams below. The grey side panels are made from 100% polyester. eLuxury went with polyester on the side for added durability as well as protection for the mattress. The eLuxury mattress falls between a 6-6.5 out of 10 on the firmness scale, where 10 is the most firm, giving it a medium to slightly firm feel. As you first lie down on the mattress, there is a small amount of sinkage. This is directly related to the 3″ top layer of gel memory foam. This layer makes for a slight amount of sinkage, yet you still receive somewhat of a floating feeling. As a stomach sleeper, I enjoyed the feel of the eLuxury. My wife, a back and side sleeper, relayed similar feelings. We both felt as if he top layer was soft enough to relieve pressure points, but still firm enough to avoid any sort of “stuck” feeling. Additionally, the eLuxury mattress did a great job of maintaining proper spine alignment in all sleeping positions. We truly felt as if the mattress did a great job mixing the floating feel with very good support, pressure relief, and cooling. With regards to support the eLuxury mattress does a pretty good job, especially for a 10″ mattress. eLuxury is spec’d to support sleepers up to 400 pounds per side, 800 total. 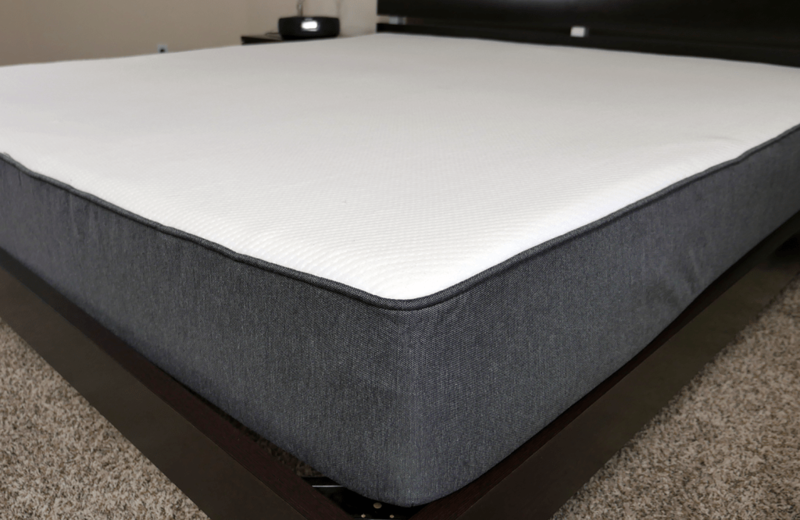 The memory foam layer does a great job of providing solid deep compression support and consistent comfort for a large variety of sleeping positions, body types, and weights. Looking for more information on eLuxurySupply? 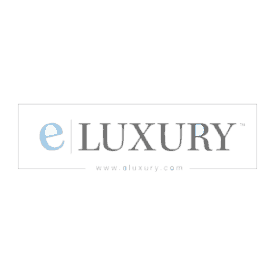 Read the full eLuxury mattress review here. The Casper is a 9.5″ mattress designed from 4 layers. Top Layer (poly foam) – 1.5″ of responsive poly foam. This layer provides the comfort, cooling, and bounce for the mattress. 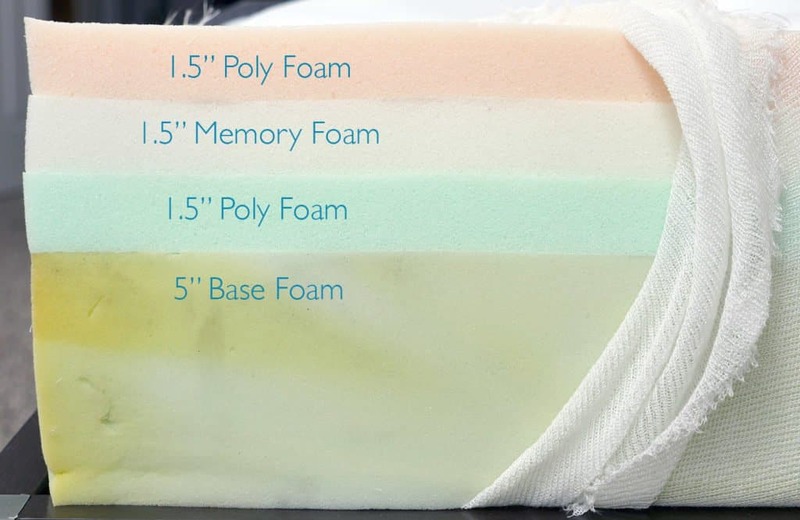 Second Layer (memory foam) – 1.5″ of memory foam. This layer provides support and pressure relief. It is placed below the poly foam layer to help avoid any potential heat retention issues that can sometimes result from memory foam. It has a density of 4.0 PCF (pounds per cubic foot). Third Layer (support foam) – 1.5″ of poly foam. This is a transitional poly foam designed to help ease sleepers into the base foam. It has a density of 2.5 PCF. Bottom Layer (support foam) – 5.0″ of support poly foam. This layer of foam acts as the foundational base for the mattress. It supports the above layers. It has a density of 1.8 PCF. The Casper’s cover is a two-tone grey and white combination. The top piece of the cover is made from 100% polyester. It is also porous, allowing for improved airflow and a cooler sleeping surface. As you move the Casper it is important to be very careful. The memory foam, latex, and heavy-duty poly foam work together to offer sleepers a beautifully balanced feel! Take $75 off your purchase with our exclusive discount by using the code SLEEPOPOLIS or clicking this link! 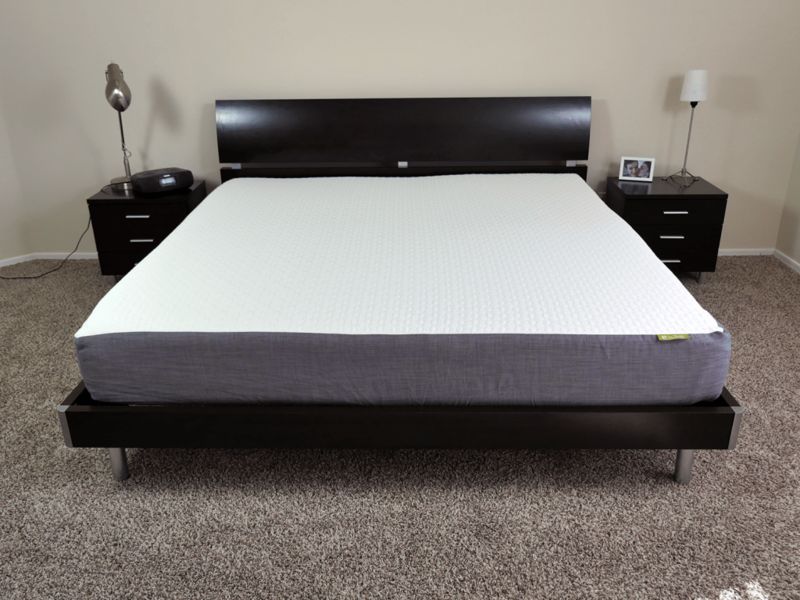 The Casper sits between a 6-7 out of 10 on the firmness scale, with 10 being the most firm. This mattress is designed to fit the needs of most sleepers. Granted, the firmness level varies based on body weight. As a heavier sleeper Casper will end up feeling closer to a 7 out of 10 on the firmness scale. This is simply due to the softness of the latex layer and total 3″ thickness of comfort foams. Heavier sleepers simply sink through these and put more direct pressure on the base foam. The support of the Casper is pretty good. The top layer of latex provides more of a rounded contour compared to the more pronounced, traditional contour of memory foam mattresses. As a lighter sleeper (140 pounds) I was seeing about 1-1.5″ of sinkage while lying on my back. Now, there was no “stuck” feeling with this sinkage, due to the latex top layer. The Casper also has pretty good response and bounce due to the top layer of latex. Looking for more information on Casper? 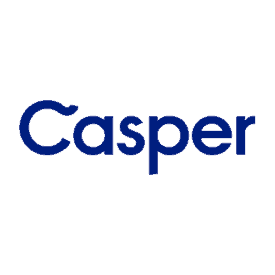 Read my full Casper mattress review.